Affectionately known as the ‘Little Rome’ on the North-western coastline of Sri Lanka, Negombo is a sweet little coastal town near the Bandaranaike International Airport. From iconic colonial buildings and oldest churches in Sri Lanka to rejuvenating beaches and garden fresh seafood, Negombo makes a perfect getaway for a beach holiday with your family. Thanks to the wide range of fun activities, such as kite surfing, fish-catching tours and amusement parks, there is always something to do in Negombo. Check them out below! 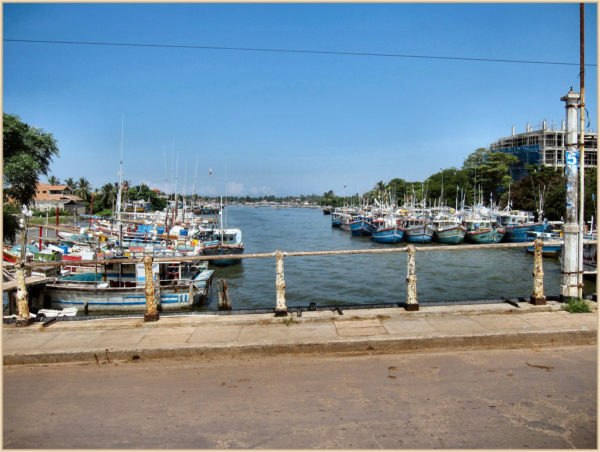 Negombo is regarded as the biggest fishing base of Sri Lanka where fishing has remained a mainstay practice amongst the local community! While the natives earn their keep on the ocean and lagoon waters, tourists are constantly lured to fish here in order to escape the monotony of everyday life! A Deep Sea Fishing Tour takes you into the deep azure waters of the western coast to engulf in the icy cool breeze and catch a vast variety of fish! So, why wait? Unveil the fisherman in you and test your angling skills or just get away from the hustle and bustle of the city with your family to enjoy an immeasurable thrill of grappling with the strongest of the sea, and winning! Carry your cameras along and show off your biggest catch on Instagram with a great photo. A deep-sea fishing tour arranged by Negombo tourism costs about $296. Alternately, you may also ask your villa manager to help with organising a fishing tour on the lagoon for your family! Pro Tip: While deep-sea fishing is an evergreen excursion that continues throughout the year, the best season to enjoy this activity is from April to November! St. Mary’s Church is one of the largest cathedrals in Sri Lanka. As this spectacular, vintage church rises majestically over the other buildings in the vicinity, its presence reverberates with a tranquil aura. 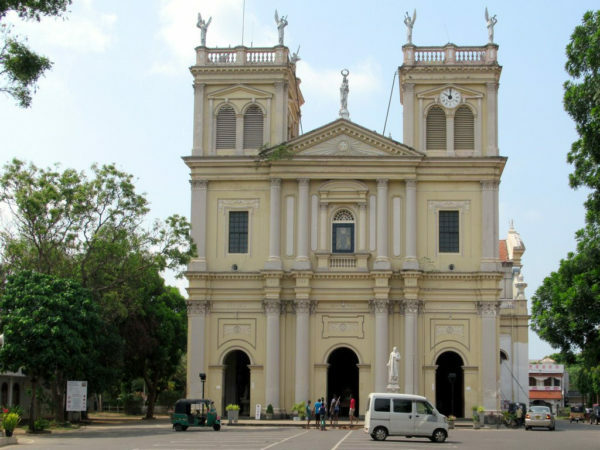 With iconic paintings, statues and altars, this neoclassical edifice offers the visitors a golden chance to learn how Christianity endured a stormy history and persecution in Sri Lanka. What’s more? Other than laying testimony to rich Catholic history, the Church boasts of a truly majestic architecture that is adorned by a creamy yellow shade of paint and check-board styled tiles. Plus, there’s a strikingly beautiful confession stall that is hand carved in wood! Pro Tip: Don’t miss the Mass conducted at 7.30 am in English on Sundays! Moreover, the Church celebrates its grand fest every year on the Sunday after September 8, in honour of Mother Mary! 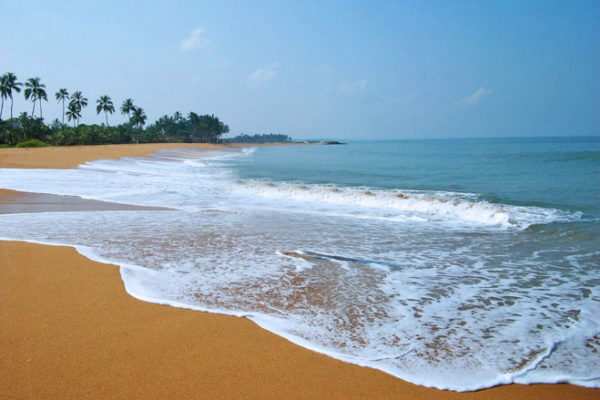 Your trip to Negombo is incomplete without paying a visit to the beautiful Negombo Beach. Away from the hustle and bustle of the city, this beach prides itself on the crystal clear waters and pristine golden sands to offer a relaxing environment to wind down in the close proximity of your loved ones. Just pack a picnic basket, grab a mat and enjoy the sound of the water waves as you relish the sight of fishermen setting off the shore for the routine catch! While this is a great sight to behold, it also makes for a brilliant opportunity to capture post-card perfect pictures with your family. Looking for other fun-filled activities at Negombo beach? Take a leisurely stroll along the beach as the welcoming locals greet you with a flooding smile. Or fly a kite high in the sky against the awe-inspiring backdrop of the beach can be a real thrill for a child. Buy some freshly netted fish, lobsters or crabs at the market just adjacent to the beach. What’s more? Negombo beach features a wide variety of restaurants catering to Lanka’s signature seafood and sliders! P.S. Make sure you wait until the dusk to savour spectacular views of the sun setting against the beautiful backdrop of the ocean! 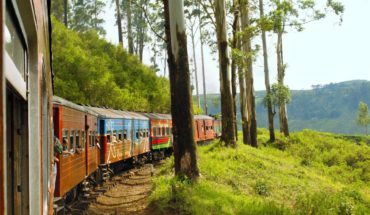 Adrenaline-smacking adventure rides, an incredible ocean of memories, smiling faces and the marvellous history of the Lankan Kingdoms, ‘Guruge Nature park’ makes way for a joyous fun-filled experience that your kids and family will cherish for years! 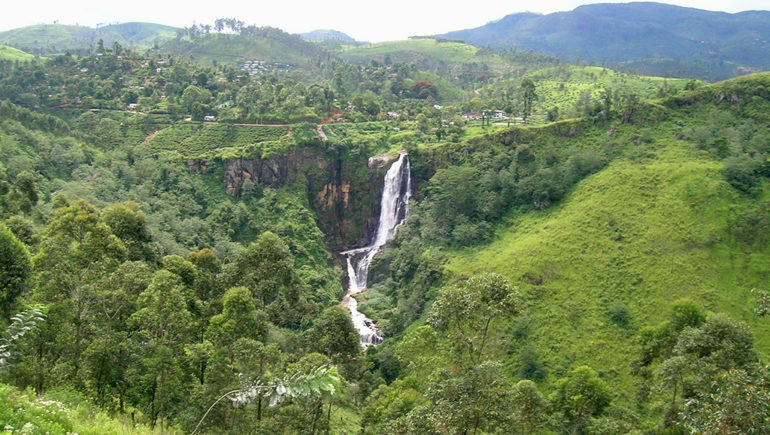 Guruge Nature Park is the country’s first ever theme park that exhibits the glorious history of Sri Lanka dating back to the time of their first kings (547 B.C.) The park boasts of a deliberately master-crafted Gem Museum that lays testimony to the country’s rich history of gem mining. Among its impressive fleet of attractions are the replica of Adam’s Peak, a unique representation of an ancient village as it existed in the past, a Wave Pool, and many lively, colourful animals that add to the rich experience of this theme Park! What’s more; The Park is open for our guests 365 days of the year from 8:00 am to 6:00 pm. P.S. A perfect fusion of history and amusement, the park promises unlimited fun with a wide assortment of amusement rides, indoor games and a built-in water park. Tucked in the beating heart of the town, Angurukaramulla Temple, with its 6-meter long reclining Buddha, is worth visiting with your family. 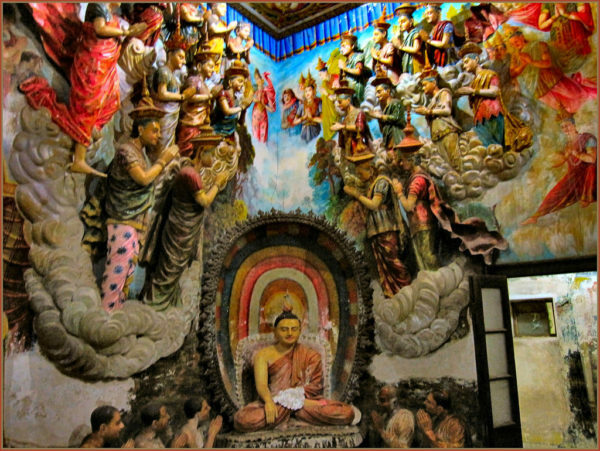 Embedded with Lanka’s rich history and culture, the temple showcases numerous old paintings and murals that are sure to leave you awestruck. Did you know? There’s a tiny place called “apaaya” or hell inside the temple. Come discover yourself what the hell is this hell? Villa Sunbird is an absolute paradise to stay over with uber-comfortable accommodation and convenient amenities, all at your doorsteps. Located merely steps away from the beach, the villa offers a stunning view of the glistening sea. There is also an outdoor swimming pool where you can enjoy the tropical sun to your heart’s content. The villa also offers bicycle and boat rides for you to explore Negombo at your own pace. Totalling six bedrooms, the villa has ample space for you and your family to relax and enjoy your days in Sri Lanka. What’s more? There is an in-house chef who will be more than happy to cater to your dietary needs. And when you want to explore, Negombo is only 15 minutes away and the capital, Colombo, is one hour drive away. 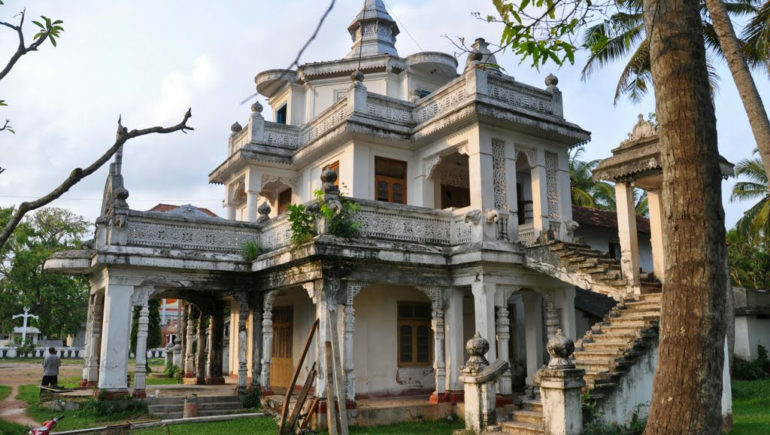 Nestled along the seafront close to the lagoon’s mouth are the remnants of an Old Dutch Fort that lays testimony to the Colonial times of Sri Lanka. While in the Portuguese era, the entrance for the fort was a drawbridge surrounded by moats, today what we’ve is only a wrecked gateway inscribed with the date 1678! Overlooking the Dutch Fort, there is a long-standing Church that is said to be more than 300 years old and erected on an artificial mountain during the Dutch rule! With some restoration work, the church still boasts of its original Gothic architectural design. Today, it is renowned as “St. Stephen’s Anglican Church”. What’s more? 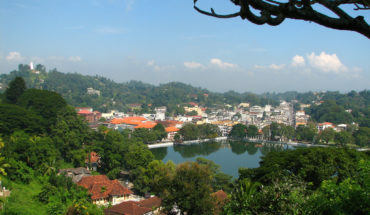 The Fort also houses a green, called the Esplanade, where cricket matches are frequently organized to attract large crowds. So, why wait? Set out on a sightseeing tour of the Negombo fort with your family and relish a memorable experience of the colonial times! 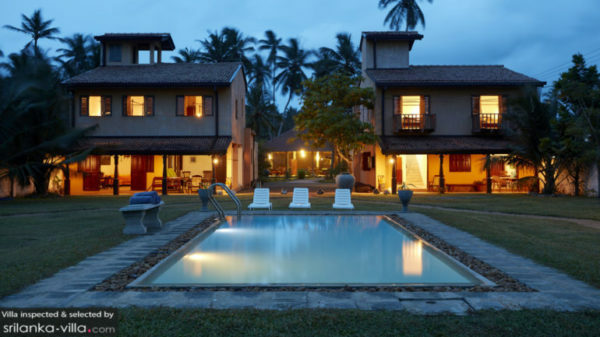 See our villas in Sri Lanka. Inspected and selected by SriLanka-Villa.com.